The Nevada desert heat is not a deterrent to flourishing and highly functioning businesses and facilities. In order to function at high levels and link networks, virtual desktops, data, and other types of information, it is essential that Nevada businesses look into building a data center. However, Las Vegas data center design may not be as straightforward as it is in other areas. All data center designs must take into account the environment in which the data center will be placed. With all that computing, sending, and receiving, data centers with an inefficient design can quickly overheat and cause major problems, lost data, and security breaches. To avoid this, most companies take it upon themselves to create a cool and constantly running regulating system. Though this is very helpful in keeping data centers functioning at as high a level as possible, it can mean quite a large chunk of financial burden on a company. This burden is intensified in areas like Las Vegas that have hot, dry, and harsh climates. For this reason, it is important to getting the right data center design to lower energy costs, have as low an impact as possible on the environment, and keep a data center functioning and regulated. There are many innovative Las Vegas data center designs that have already been put into place, but the need as ability of each company is different, so these designs may not be the best for every company. 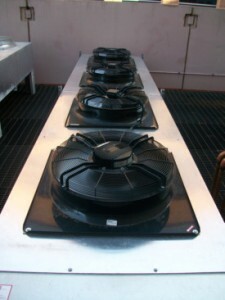 Some of the ideas that have been implemented by other companies are a use of solar panels to help power the computing and cooling systems in a data center, air-side economization (which basically pumps in air from the outside to keep a cool current going through the data center, and centers partially powered by natural gas. By utilizing these ideas, as well as coming up with similar solutions to the energy efficiency problem, the computing power of a company does not have to be deterred by the impacts the environment may have on their data center design. There is, as with any major investment, great debate about what types of structures are the best or will be the most beneficial for a company based on their investment. However, by combining the forces of professional and experienced data center architects, credentialed construction companies, and new innovations and updates to both hardware and software, finding the right Las Vegas data center design becomes far more feasible for many businesses. Getting the right data center design can make a huge difference in how well employees and customers are able to connect to a network, download data, and use the power provided by a server. This is only possible if a data center can be regulated both by software systems and physical temperature control. Building the right data center can also help to keep security at the highest possible level for all involved. Whether battling budgets, the heat of Las Vegas, or the process of getting from a data center conception to reality, researching and finding what is best for a company is the surest way to get a data center that will work only to a company’s advantage. By keeping down costs in the long run, companies are more likely to stay afloat as technologies continue to advance. This entry was posted in Data Center Design and tagged las vegas data center build, las vegas data center construction, las vegas data center design. Bookmark the permalink.